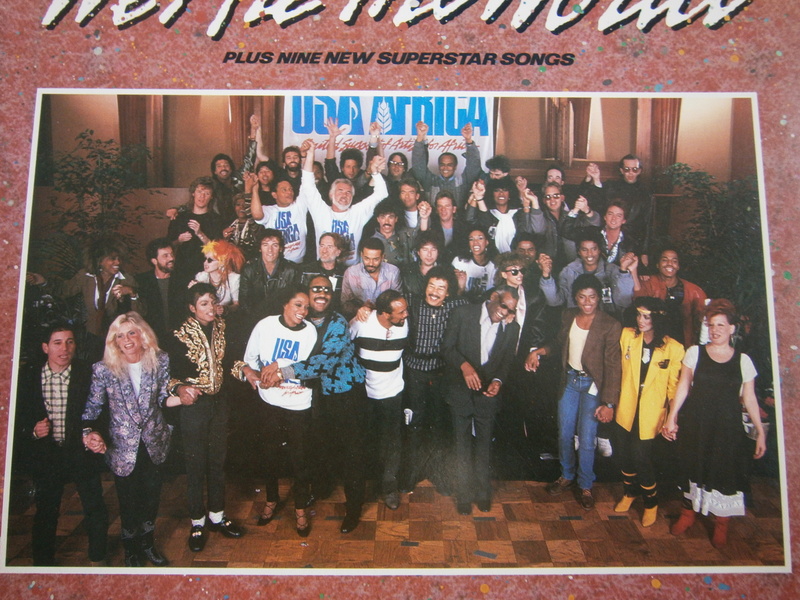 Thirty years ago on January 28, 1985 a large group of musical superstars came together to record the charity single “We Are the World”. The song was written by Michael Jackson and Lionel Richie and produced by Quincy Jones. 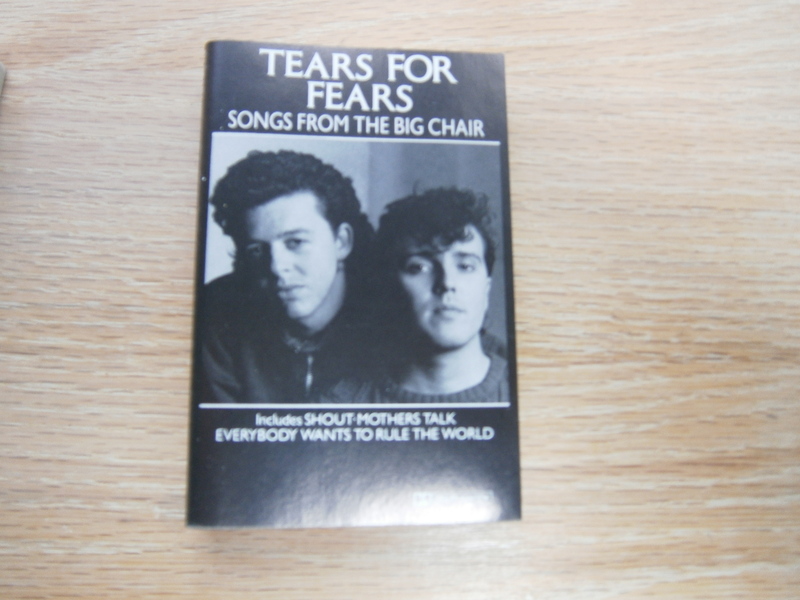 They were following the lead of Bob Geldof who gathered superstar musicians in the United Kingdom in 1984 to record the song “Do They Know It’s Christmas” to raise money to help relieve famine in Africa. “We Are the World” raised over $60 million for the charity. It also won four Grammy Awards including Song of the Year and Record of the Year. 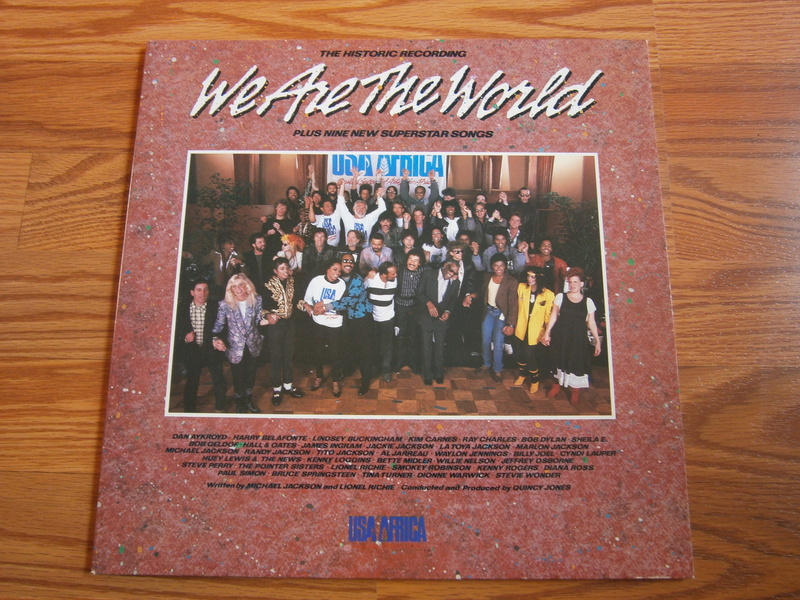 Looking back at the artists who participated in “We Are the World”, it was quite an exceptional group. The stars of the 80’s are well represented and joined by legends such as Tina Turner, Diana Ross, Dionne Warwick, Ray Charles, and Stevie Wonder. Maybe because Quincy Jones was producing this there was more diversity than would later perform at Live Aid. The only big stars from 1985 who were missing were Madonna, Whitney Houston, and Prince. In researching this Guitar Train stop, I came upon various reasons why Prince did not participate. Regardless of what the real reason is, I am very happy with his replacement – Huey Lewis. 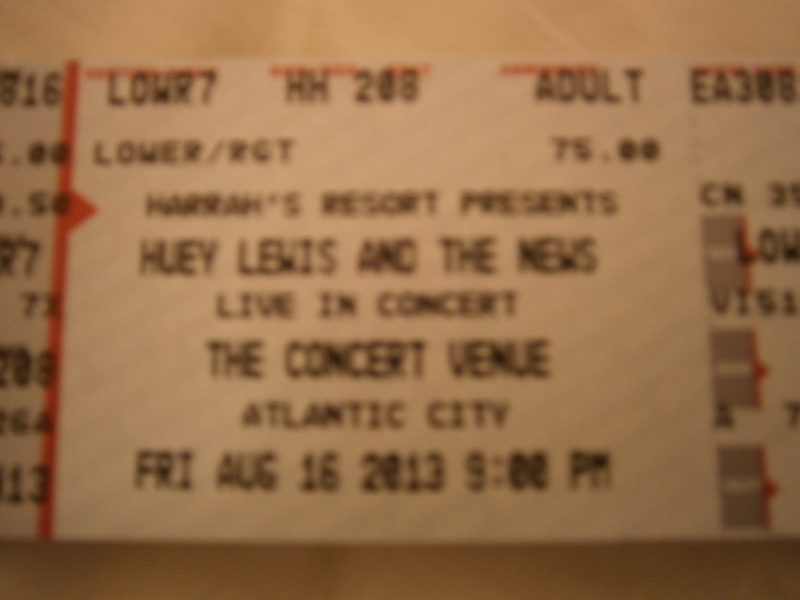 Huey alone, without the News, sang the bridge part after Michael Jackson and before Cyndi Lauper and Kim Carnes. Kim Carnes was the only singer I did not recognize when I watched the DVD “The Story Behind the Song: 20th Anniversary Special”. For the music video, the artists lined up in a U-shape in the order they sang their lines. So Huey was positioned between Michael Jackson, in full King of Pop regalia, and Cyndi Lauper, wearing an abundance of jewelry. Had Prince been there instead, it would have been an 80’s overload of hair, jewelry, and brocade. Huey brought it down to earth and sang a line (which I can’t write here because of copyright issues) that I could imagine being in one of his songs. Cyndi then does her vocal thing, Kim Carnes adds her two words, and then Huey rejoins them. I think it’s cool that Huey was part of this momentous gathering. Incidentally, the News joined him later to sing in the chorus which also contained many famous musicians including another favorite of mine, The Pointer Sisters. It was nice to see other regular guys such as Billy Joel (whose line to me seems to be right from a Beatles song) and Bruce Springsteen. In 2010, another group of musicians remade “We Are the World” to benefit Haiti which had experienced a devastating earthquake. I had heard about the remake at the time but I never bothered to listen to it because the only people I had been told were in it were Justin Bieber and Miley Cyrus. I had no interest in listening to them along with a bunch of current musicians whom I wouldn’t know. When researching this Guitar Train stop, I decided to listen to the updated version. 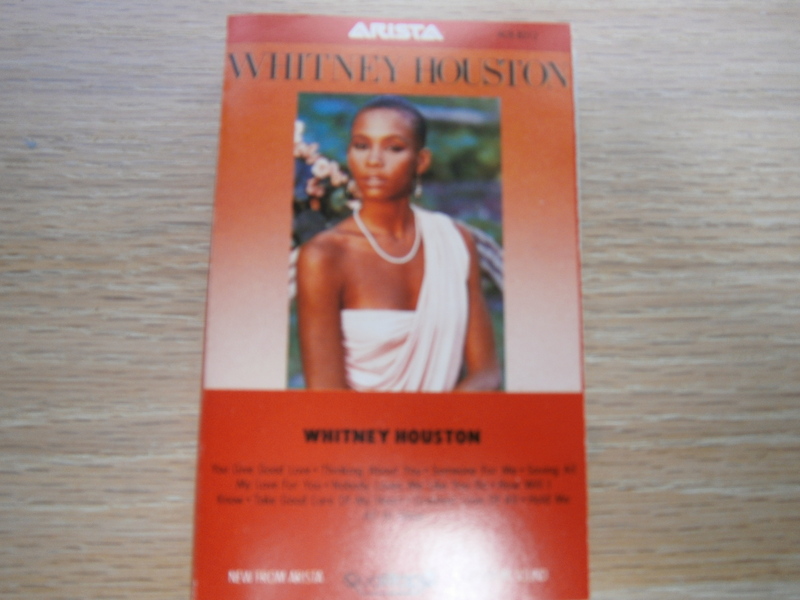 I was pleasantly surprised by the other big name (and talented) musicians who were involved such as Wyclef Jean, Jennifer Hudson, Barbra Streisand, and Tony Bennett. Interesting note – Usher sang Huey Lewis’ line in the remake. 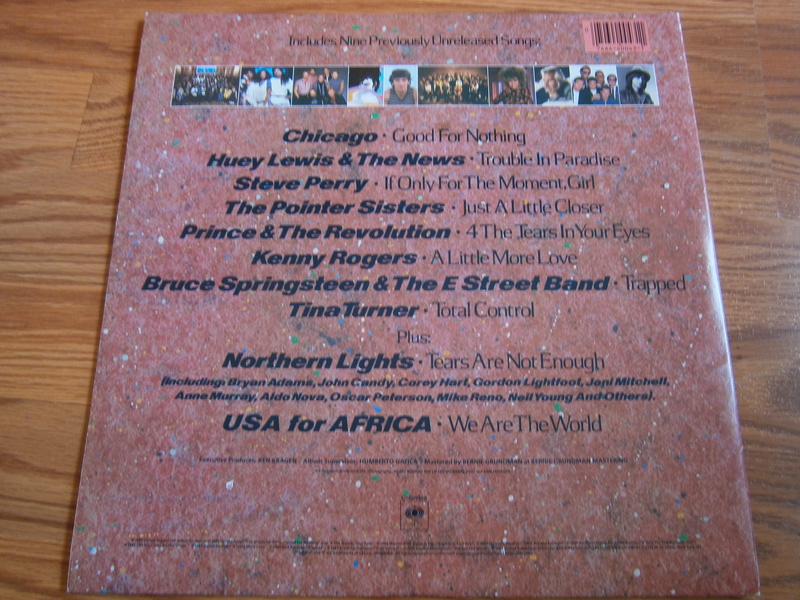 Back to 1985, the “We Are the World” single was part of an album of the same name which contains songs by artists from the single as well as Prince and Chicago. Huey Lewis and the News contributed the song “Trouble in Paradise”. The album also contains a group of Canadian artists recording a song called “Tears are Not Enough” under the name Northern Lights. To read more about the epic recording of the song “We Are the World”, check out this great article on the “Rolling Stone” website called “’We Are the World: A Minute-by-Minute Breakdown’ on Its 30th Anniversary”. http://www.rollingstone.com/music/features/we-are-the-world-a-minute-by-minute-breakdown-30th-anniversary-20150306 Also check out the website http://www.usaforafrica.org for much information about the song and other charities. Guitar Train passengers, what did you think about “We Are the World” at the time and what do you think about it now, looking back 30 years later? The Guitar Train is still in 1985 as the next stop takes us to another epic charity event from that year – Live Aid. So hop back aboard The Guitar Train to see this concert from the skewed point of view of my favorite musicians. All this month, Quirky T has been conducting the Guitar Train to stop at each of her all time favorite musicians. The last destination is Huey Lewis and the News. 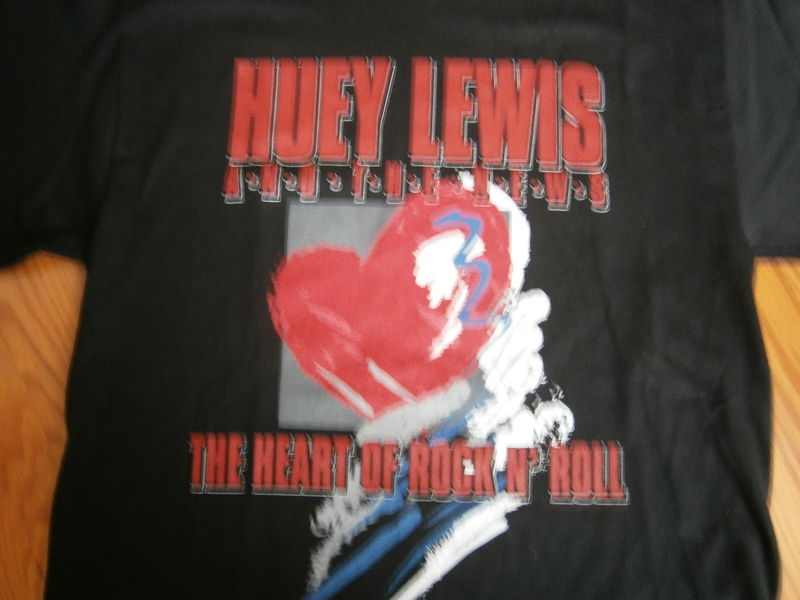 The first Huey Lewis and the News song I ever heard was 1983’s “The Heart of Rock & Roll”. http://youtu.be/M7JVlpm0eRs It is probably the band’s most famous song, even now, 30 years later. 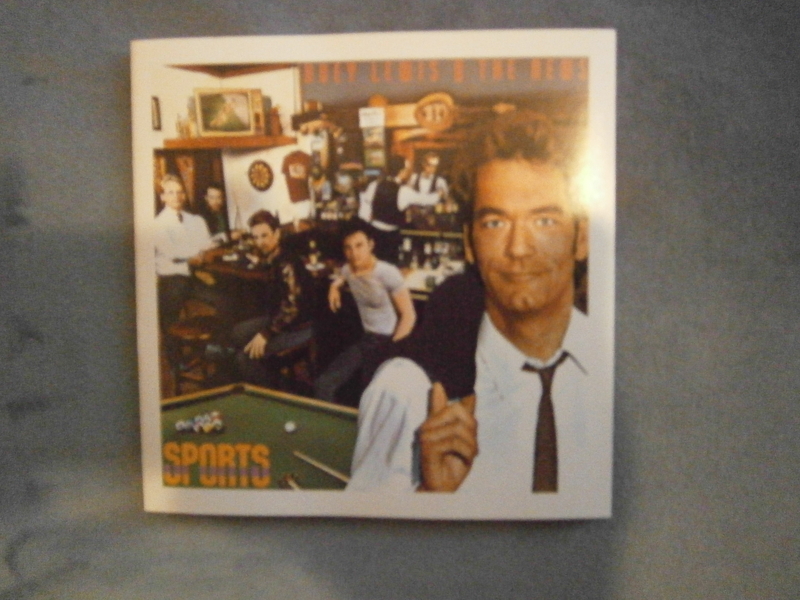 After hearing that song, I bought the album that “The Heart of Rock & Roll” is on, “Sports”, in cassette tape format. On an interesting track, I ended up buying “Sports” several times as I bought it on cassette tape twice (the first tape broke from playing it so much), CD, and it’s now on my iPod Shuffle and iPod Nano. My friends and I made our own music videos to songs from “Sports” by acting out the parts of Huey Lewis and the other band members. 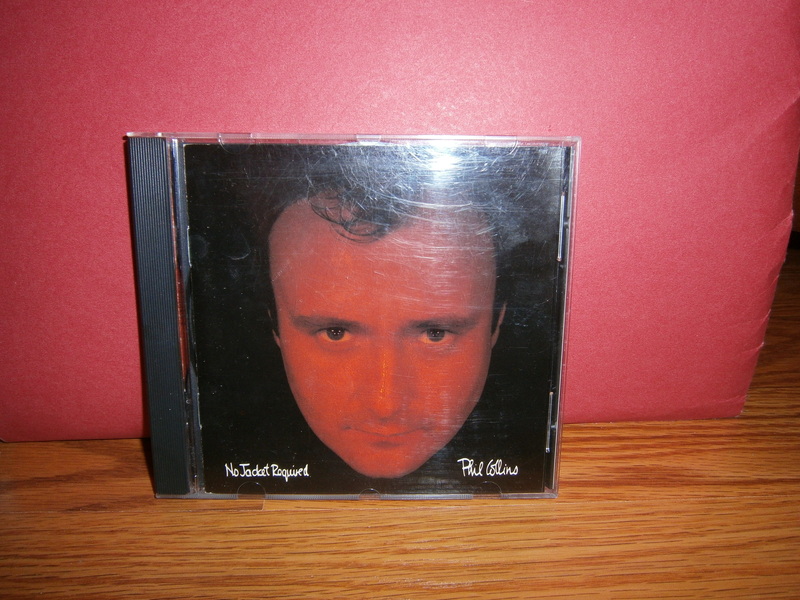 In 1986, I got the band’s next album, “Fore!”, followed by “Hard At Play” in 1991 (the first one I bought only on CD). My favorite Huey Lewis and the News song is 1982’s “Do You Believe in Love” http://youtu.be/BzIbyDbmsyg from the album, “Picture This.” My second favorite song is the hard rocker “Couple Days Off” from 1991’s “Hard At Play”. My favorite Huey Lewis and the News music video is for “I Want a New Drug” http://youtu.be/N6uEMOeDZsA which follows Huey as he prepares for a concert. One very memorable shot comes in the beginning of the video as Huey plunges his face into a sink full of ice water to wake himself up. The camera angle on that shot is amazing. 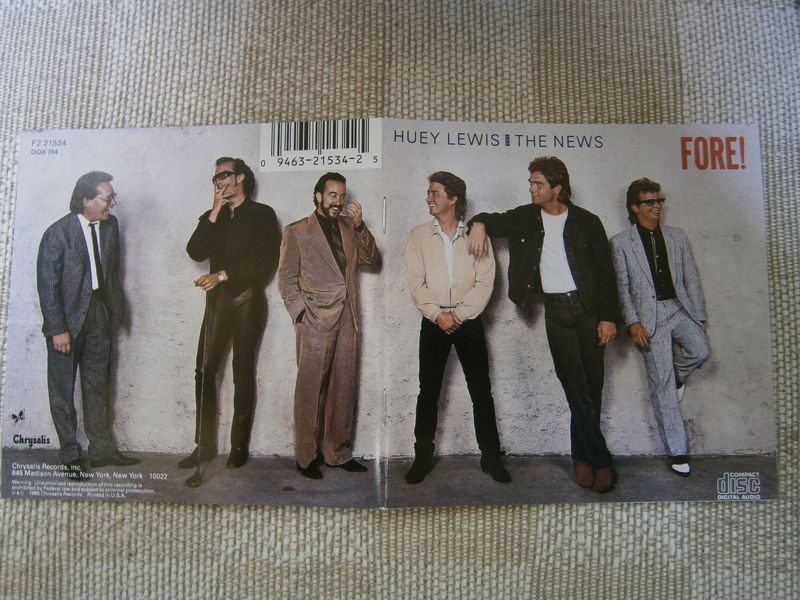 Huey Lewis and the News seem to be made fun of in the same manner as Phil Collins is – for no real reason. As with Phil Collins, I think it’s a case where dislikers should listen to the music before they judge it and make snarky comments about the band. Ironically, one time the band is praised and put in the spotlight is during a brutal murder scene in the movie “American Psycho.” I first became aware of this a few months ago when I heard about Huey Lewis himself and Weird Al parodying the scene from the movie on the website “Funny or Die”. http://www.funnyordie.com/videos/e3662085fb/american-psycho-with-huey-lewis-and-weird-al It is funny scene (and only gory at the end). I then watched the original which is brutally violent and disturbing while offering an insightful commentary on Huey Lewis and the News’ career. http://youtu.be/QvBAEp3Znn4 I decided to go to the source material so I borrowed from the library the Bret Easton Ellis book which the movie is based. I immediately read the chapters on Huey Lewis and the News, Genesis, and Whitney Houston. They are all well written and have a great knowledge of the subjects. I don’t know how they tie into the brutal murder or the plot of the novel since the rest of the novel is too disturbing for me to read. I admit that this is truly a case where I have taken the Huey Lewis bit out of context but I really can’t make myself read the rest of the book. Whenever I hear a Huey Lewis and the News song, I smile. Their music is good, up tempo, and fun. I like the fact that not all their songs are love songs. Also, only a few of their love songs are happy-in-love-songs; others are more realistic. I like that Huey plays a happy harmonica, not a whiny, sad harmonica. Having a horn section in a rock band impresses me. I’m also a fan of the band’s vocal harmonies. I look forward to the possibility of a CD of new songs from the band. For thirty years, I have been a fan and I will continue to be a fan. When I was in the elevator of the hotel at Harrah’s Resort Casino in Atlantic City, New Jersey last month, the young (early 20’s) security guard asked me why I was at the hotel. When I told him I had come to see the Huey Lewis and the News concert at the hotel, he said he had never seen Huey Lewis perform or even heard one of their songs. The only thing he knew about the band was the scene from “American Psycho”. It made me sad to think he has never heard their music and felt the enjoyment I have felt. 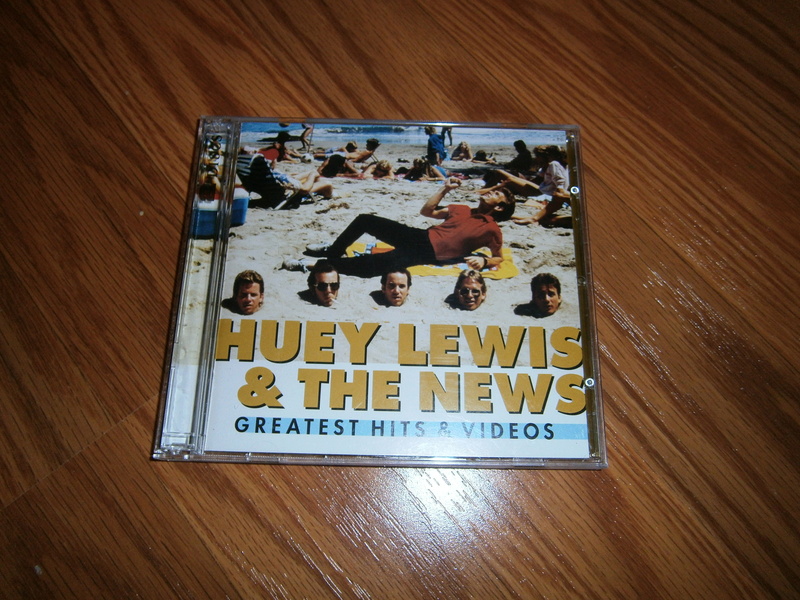 So for Huey Lewis and the News newcomers and dislikers, in addition to listening to “Sports” and “Fore!”, the CD I would recommend is “Huey Lewis and the News Greatest Hits and Videos” released in 2006. Besides the band’s over thirty years of greatest hits, it contains some of their fun music videos. 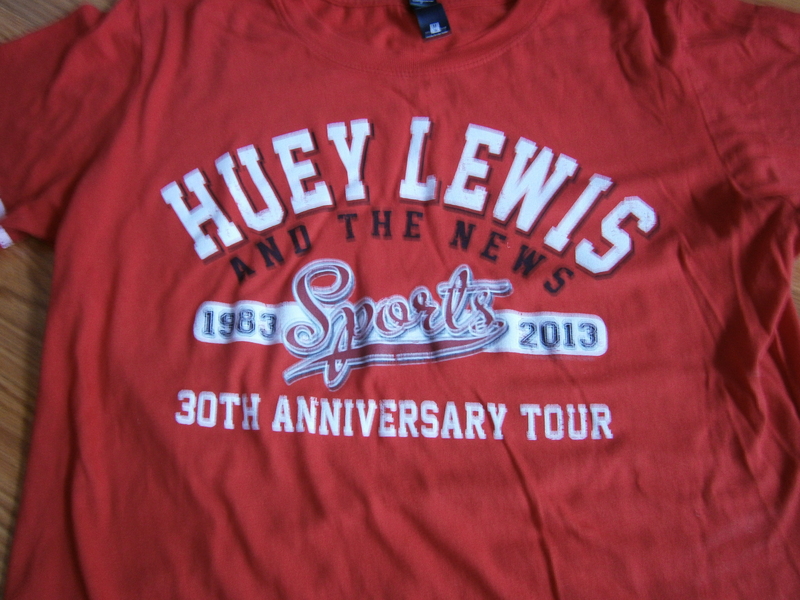 For more information, check out http://www.hueylewis.com. Their official You Tube music videos are from emimusic. Guitar Train passengers, what do you think about the criticism or snarky comments made about your favorite musicians? Next month, hop aboard the Guitar Train as Quirky T celebrates Happy Month in October.